The popular uprisings in Egypt and Tunisia have overthrown the public face of the imperial-backed dictatorships in the region, and inspired supporters of popular democracy worldwide. As the Arab revolt spreads from North Africa to the Gulf and deepens its demands to include socio-economic as well as political demands, the Empire is striking back. The ruling military junta in Egypt has cracked down on the prodemocracy movement and looks to its autocratic "partners" in the Gulf and the Arabian Peninsula to drown the civil society movements in a blood bath. While standing by the crumbling dictatorships elsewhere in the region, the United States, France and the United Kingdom raced to intervene when it seemed the revolt had spread to Libya. NATO was deployed, using the UN's new "responsibility to protect" doctrine authorizing humanitarian intervention. Already NATO intervention has exceeded the UN mandate by bombing the Libyan capital and inflicting civilian casualties. Meanwhile, western governments openly pursue regime change in Libya while seeking to forestall it elsewhere. 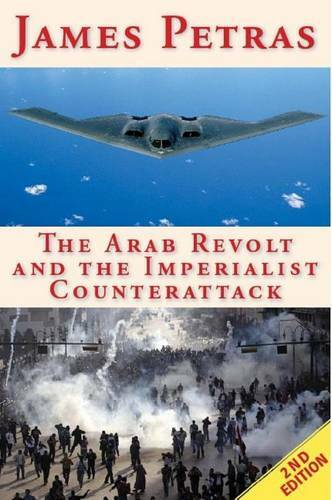 These essays chronicle the growing militarization of US policy in North Africa and the Gulf and the historic confrontation between the Arab democratic revolution and the imperial backed satraps; between Libyans fighting for their independence and the Euro-American naval and air forces ravaging the country on behalf of their inept local clients. This second edition greatly expands upon the first edition, originally published last year.